We will get to all those advanced features in due time, but before we do that, we’ve got to start at the very beginning and guide you through the basics of this exciting new title. 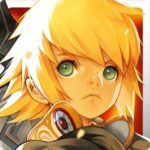 While we’ve already shared some Dragon Nest M beginner tips and tricks in the past, now we’re back with some more. 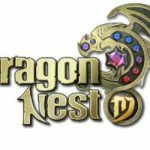 So read on, check out our Dragon Nest M strategy guide for beginners, and join us as we talk you through everything you need to learn while your character/hero is still at level 10 or lower. We hope to cover the whole gamut of basic mechanics, but first, let’s talk about the first thing you’ll be doing in this game – choosing a character class. The very first thing you’ll need to do in Dragon Nest M is to choose a character. There are six classes to choose from, starting with Academics, who specialize in middle distance magic attacks and summon pets to help them out in battle. Archers are best in launching ranged attacks from behind, and also attack from middle distance, with their speed being their main defining characteristic. Sorceresses are “masters of ice, fire, dark, and light magic,” and are the best characters to use when it comes to AOE attacks (area of effect attacks, for those who aren’t familiar with RPG jargon), and can deal out a ton of damage. Warriors are your all-around characters who are best in melee combat and excel in terms of strength, speed, and stamina. Clerics are defensive-minded characters with healing powers, but aren’t too good in terms of offense; you can rely on them, however, for melee magic attacks. Lastly, Assassins are “bloodthirsty lunatics” who are also good in melee attacks and in nuking, or dealing out high amounts of damage against a single target. 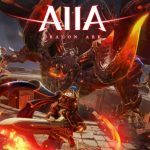 In the early goings of Dragon Nest M, you’ll mostly be following the game’s campaign, which is basically you versus AI enemies as you go through the game’s storyline and understand the importance of your ultimate objective. You’ll also be doing a lot of talking to NPCs, who will be briefing you on your quests and letting you know what to do and when to do it. In order to ensure that you’re up to speed at all times, simply keep on clicking the tasks on the button of the Quest tab on the left side of your screen. With each click, you’ll be directed to a character that you need to talk to, or a spot on the map where you need to be. This may be a game with a lot of social engagement, and you may not see much merit in completing the campaign, but it’s nonetheless recommended, and might we add, required, to do it by following the quests. When battling it out with enemies, you will, of course, have your main skill, which you will be using most of the time. But you shouldn’t ignore the buttons around them, especially if you’re facing the level boss. These are your skill buttons, and each skill would differ depending on the character class you chose for your hero. We recommend that you tap on the Skill tab on the bottom right of your screen and review each skill, reading up on what they do. That allows you to use them at the right time, and with reason — for example, you wouldn’t want to use the Fan Blades skill when you’re in close contact battle against a specific enemy; you’ll want to use it instead when you’ve got a bit of distance on the bad guys, as that will allow you to utilize some crowd control and do damage against more enemies at the same time! The Dodge button is the bottom rightmost button when it comes to your hero’s commands in battle, and you can use it early on, even before the game teaches you how to use it. Obviously, this allows you to avoid damage from enemy attacks by quickly moving out of the way, and you will normally be using this when you see a red line in your enemy’s lane — this is a surefire sign that there’s trouble a-brewing, and that you’re in danger of taking a lot of damage. You’ll also want to dodge if you see red circles around a boss, as that’s a sign that they’re about to use their special skill on you. There aren’t too many defensive options in here, so you might as well practice using your one evasive maneuver, and know when to dodge at the right time. Toward the end of a battle in Dragon Nest M, you will meet the boss character, who is, as they always are, a super-powered enemy with a ton of hit points, and unrealistically high stats as compared to the low-level minions you dispose of before the big encounter with the level boss. Defeating bosses won’t be much of a problem in the early stages of the game, but nonetheless, we thought that it would be a good idea to talk you through some basic tips for dealing with bosses. The first thing to look at is the amount of hit points they have; this is designated by the upper bar on top of the screen, and if you see that the bar is blue, that means you’re going to be in for a long fight, as the boss has close to the most HP possible for a villainous character in the game. As you keep chipping away at the boss, you’ll notice that the blue bar (assuming it’s a boss with a whole lot of HP) will turn green, then yellow, then orange, then red, then maroon. Once the bar is maroon, that means the boss is close to death, so if you attack a boss while their HP bar is maroon, you’ll finally see the HP bar actually getting chipped away before it turns completely black and the boss has been killed. It’s a good idea to come in with all your skills active, so pay close attention to cool-down times once you’re past the one minute mark at any given battle. Also make good use of your dodge skill, just as we mentioned above, as that could allow you to move away if a boss is charging up a special skill. If you hit a boss hard enough, you’ll be able to stun them; you’ll know if a boss is stunned if you see stars swirling around their head. Keep attacking the boss, and use more aggressive tactics to ensure that they remain stunned until they’re dead. Once you’ve beaten a boss, the level is over, and you will usually earn coins, as well as various loot, such as weapons and armor. To the victor goes the spoils! 6. Is Auto Battle A Smart Idea? Like most games of its kind do, Dragon Nest M comes with the option to auto battle, which becomes available once you’ve reached player level 3. Auto Battle leaves everything up to the game’s AI, mainly the use of basic and special skills, and naturally, moving along the path that the game dictates. The only thing you can do here is dodge attacks, but other than that, everything is taken care of by the AI. Before deciding on whether to use auto battle or not, always check your hero’s rating, and compare it against the recommended rating for a battle. If your rating is considerably higher than what’s recommended (not uncommon at all when you’re just starting), then use auto battle, by all means — that should, as the game suggests, free up your hands, and allow you to focus on other things while the AI does all the dirty work. Otherwise, we recommend playing the level/battle yourself, or at least using auto battle until you reach the boss battle toward the end. Because if your rating is fairly close to what is recommended, that means you’re almost sure to face a tougher boss than what you’re used to. Speaking of auto battle, there’s this one early battle where the feature will specifically be disabled, as that’s where the game will teach you about what you should do if you get cursed by an enemy. First of all, let’s look at what happens when you get cursed — you will be transformed into another creature, such as a goblin in the aforementioned example, and while you may think that becoming a monster allows you to fight like one, that’s where you’re wrong. Your attack stats will decrease, and you will also become noticeably slower. But there’s a way to work around this, and that’s by attacking nearby mushrooms, which will turn you back into a human. You may also need to go to a specific spot on the map in order to break the curse — no need to worry, as the game will inform you about such spots if that’s the case. As your hero keeps leveling up, you’ll want to pay attention to their skill tree, which can be accessed by tapping on the Skills tab/button on the bottom right corner of the main menu screen. As you level up, you will unlock new skills for your hero, which you can equip so that your character can use them in battle. Of course, you’ll need to upgrade your skills, and this can be done with skill points, which are earned each time your hero levels up. Leveling up your hero’s skills makes them more effective in battle, and could reduce cool-down time, making it imperative for you to do this from time to time. Even the Dodge skill can be upgraded, so don’t ignore that as well if you’ve got the skill points to spin! The Character tab is located next to Skill, and this allows you to equip items that you may pick up after completing a battle. At first, you will pick up a basic weapon, helmet, chest armor, and trousers, though as you go on, you’ll definitely encounter more advanced gear that could protect you better against the tougher bosses of the Dragon Nest M world. 9. How Do Fairies Work? Fairies are the game’s equivalent to pets, and they become available once you reach level 8, accompanying you to battle and buffing you up in unique ways, depending on the fairy you’re deploying. There will also be a Captain Skill for each fairy, a skill that could trigger an additional buff while you’re out there on the battlefield. For example, the Dream Crescent fairy’s Captain Skill, gives you a chance of triggering “Move SPD increase” for each time you kill a monster in battle. Aside from that, you get bonus points in certain stats, with your hero’s rating going up as well once the fairy is deployed. Make sure you upgrade your fairy regularly by feeding it, as that improves the effects of the buffs and the Captain Skill! Believe us when we say that they can be surprisingly helpful when the going gets tough.